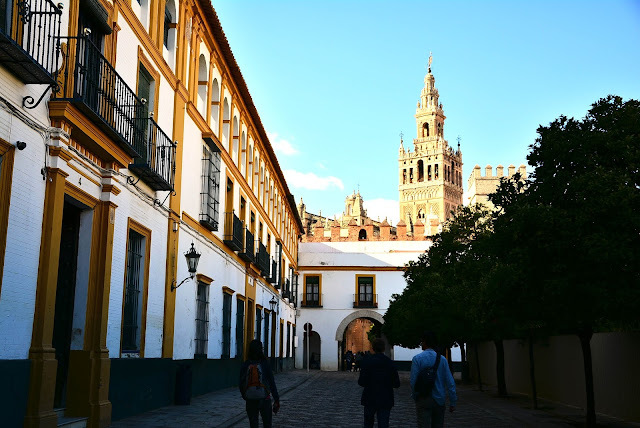 Lonely Planet published a list of 10 cities that you must visit in 2018 and Seville tops the list. 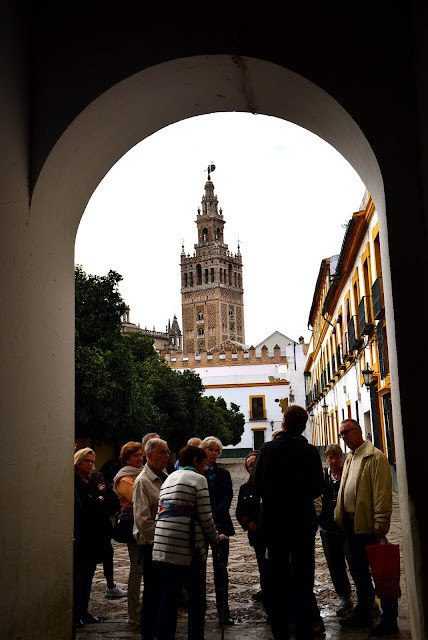 I have been there in 2014 and since tourists may start to flock Seville next year, I thought of sharing my list of 10 things one must not miss in Seville. The royal palace of Seville, one of the most emblematic structures of Seville and of Andalusia was originally a Moorish fortress, the Al-Muwarak, started somewhere in the 12th century. 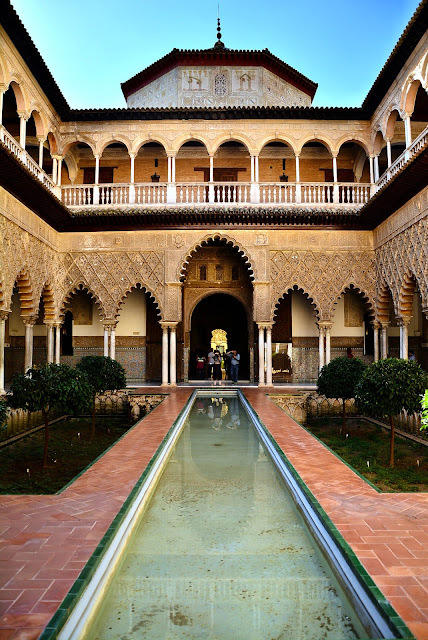 Later King Peter of Castile expanded the Alcázar around the 14th century, and the palace developed on the Islamic architecture that it already possessed. 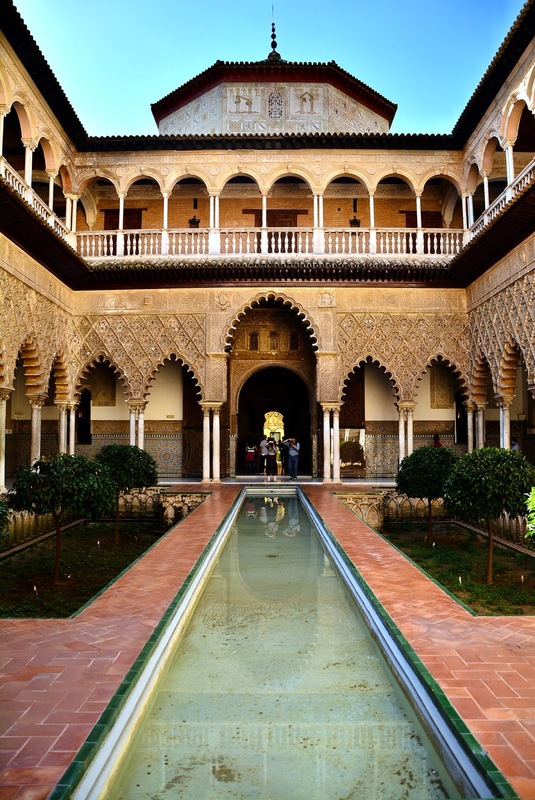 Due to its regular use up to the 20th century, later Kings have made their additions to the palace. 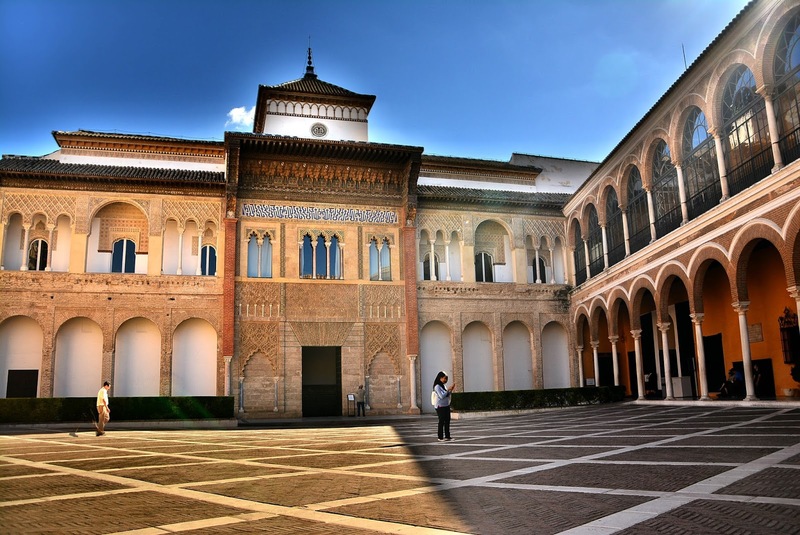 The palace is thus one of those unique monuments that can boast of Mudéjar architecture (Islamic or Moorish architecture of Andalusia after the Christian Reconquista) along with Renaissance and Baroque additions. Each courtyard, the different sections and the halls have an unique history and story to narrate. The Alcazar of Seville is among the UNESCO World Heritage sites since 1987. 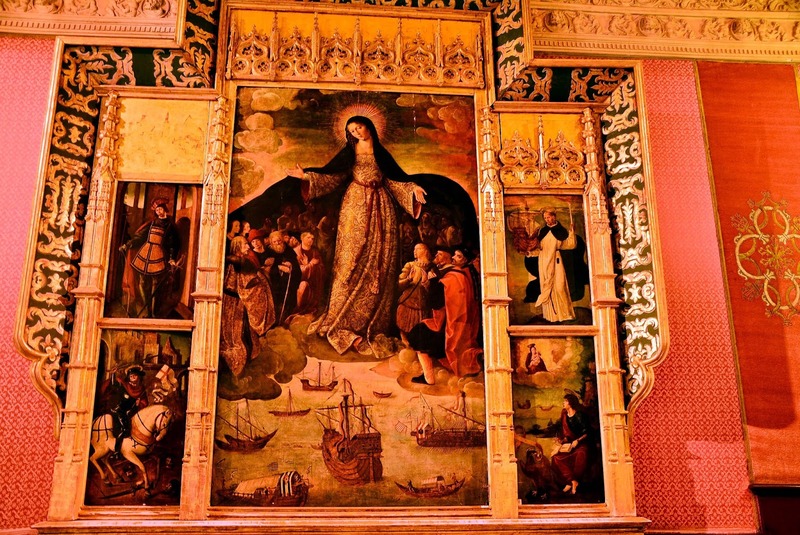 Then in the Casa de Contratación chapel of the Alcazar you can find the painting of The Virgin of the Navigators, the earliest known painting (1530s) on the discovery of the Americas, featuring Chistopher Columbus himself. This painting is one of the rare ones (though all are posthumous) of Columbus painted by his contemporaries. 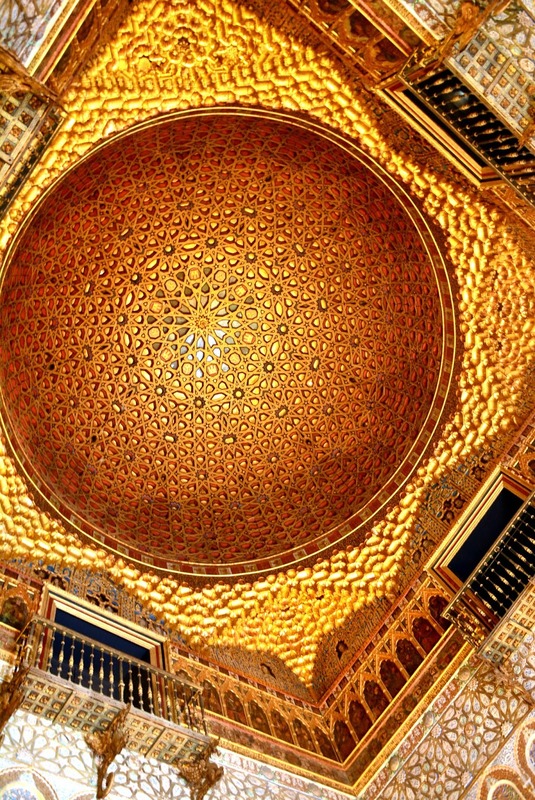 The chapel and its section of the Alcazar was commissioned by Queen Isabella I of Castile in 1503 to mark the voyages of Columbus and to commemorate the role played by the city and the palace of Seville in the campaign leading up to those historic voyages. 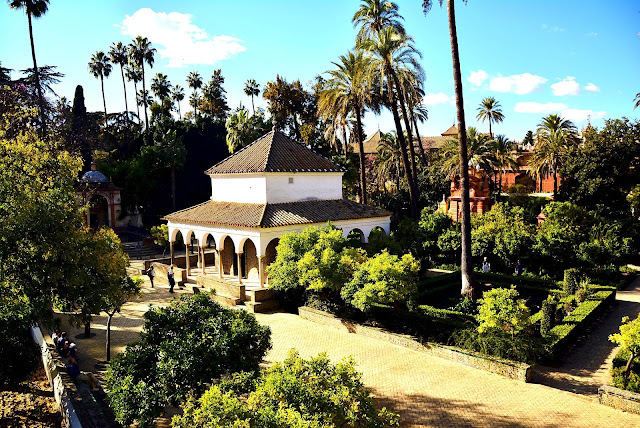 Like all palaces of Andalusia, the Alcazar has vast gardens with fruit trees and fragrant flowers. The gardens like the palace has undergone many changes over the ages and impressions of each period can be seen in the charming corners of the gardens. You can walk along the tunnels engraved in the wall on the gardens, which serve as a vantage point looking over the entire verdure of the gardens. At the highest point of the gardens is the Mercury Pond, with a 16th century sculpture of Mercury adorning it. Behind it is the Gallery of the Grotesque, a baroque remnant of the gardens. 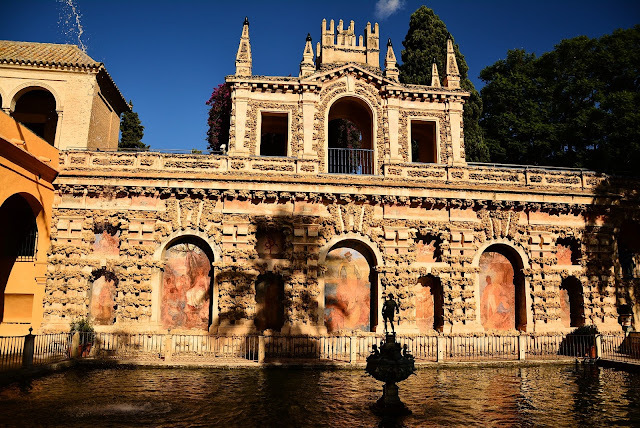 And you can also have a peep in at the "Baths of Lady María de Padilla" which are rainwater tanks beneath the palace, and used as baths since the 14th century. The Cathedral of Saint Mary of the See surpassed the Hagia Sophia in the 15th century and since then is still the largest cathedral in the world. 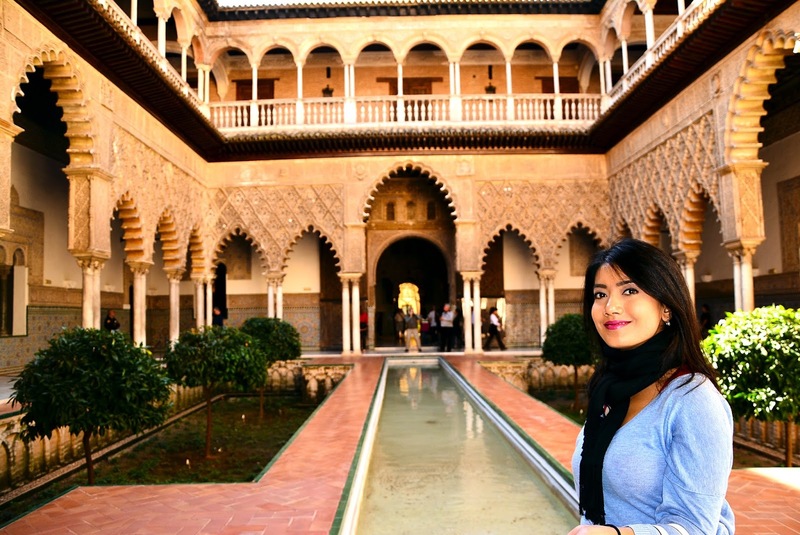 Started as an Almohad Mosque in the 12th century, it was later Christianized in the 13th century and the huge edifice was erected in its place. 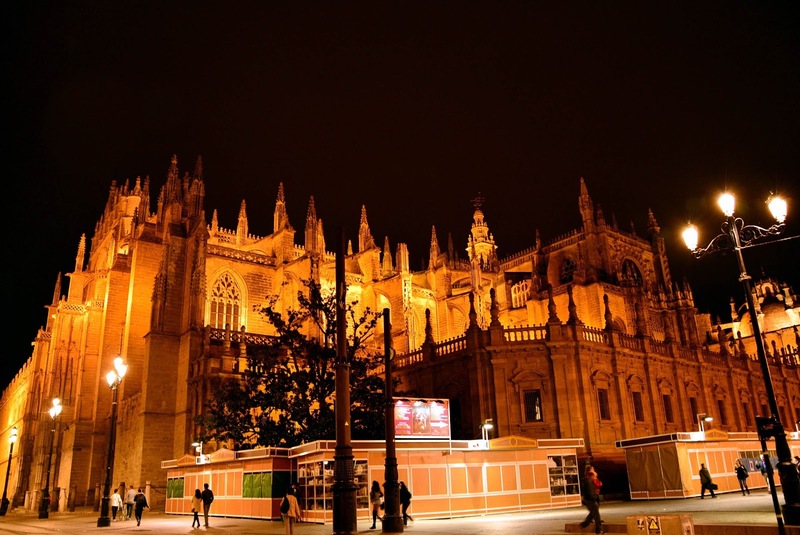 Seville Cathedral was built to demonstrate the city's wealth after the Christian Reconquista and according to the legend, during its construction the people of Seville had said “Let us build a church so beautiful and so grand that those who see it finished will think we are mad". Built on a Gothic fabric, the cathedral boasts of the grandeur of other Gothic monuments found across the world. 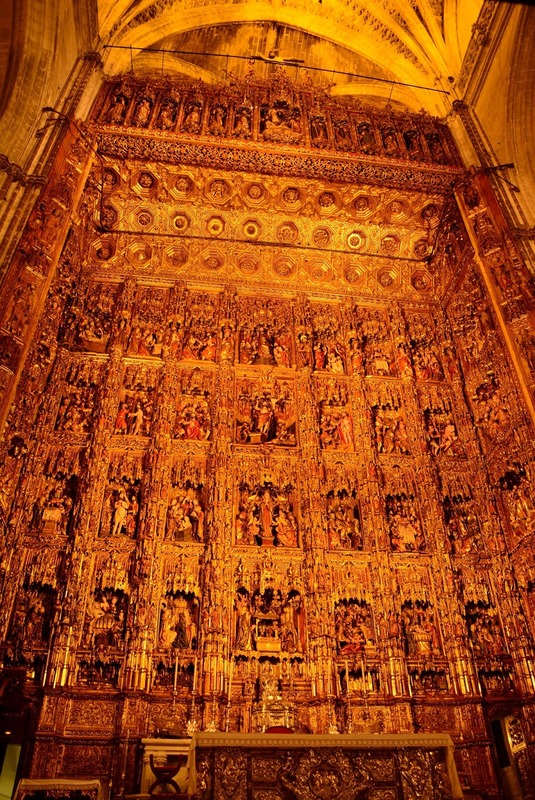 Inside the cathedral one can find the ornate altarpiece which was the lifetime work of a single craftsman, Pierre Dancart and it is probably one of the best and most intricate altarpieces in the world. 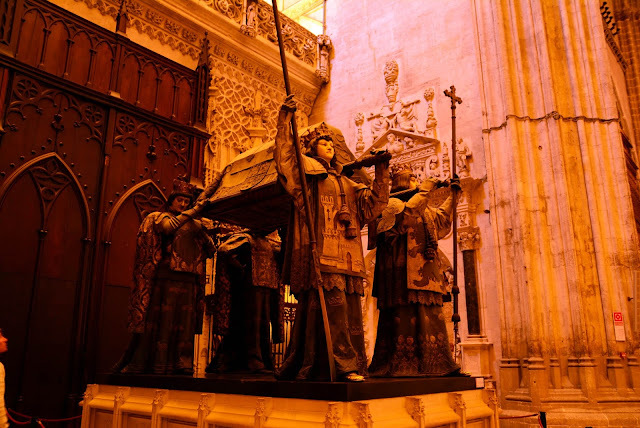 Finally the Seville cathedral is the final resting place of Christopher Columbus and one can find his tomb in the cathedral where his remains are symbolized to be borne by the kings of Castile, Leon, Aragon and Navarre. In fact his remains after his death travelled as much as the explorer himself, being first buried in Valladolid, then at the monastery of La Cartuja in Seville. 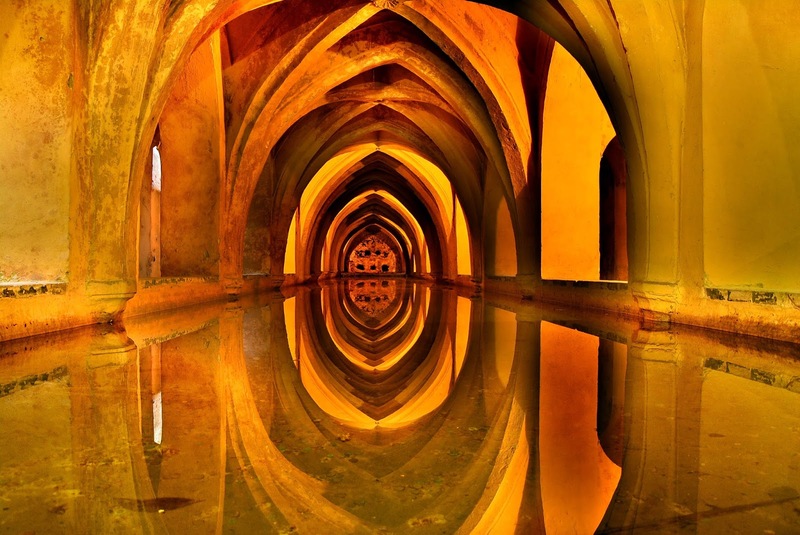 In 1542, the remains were transferred to the present-day Dominican Republic and were then moved to Havana, Cuba in 1795. 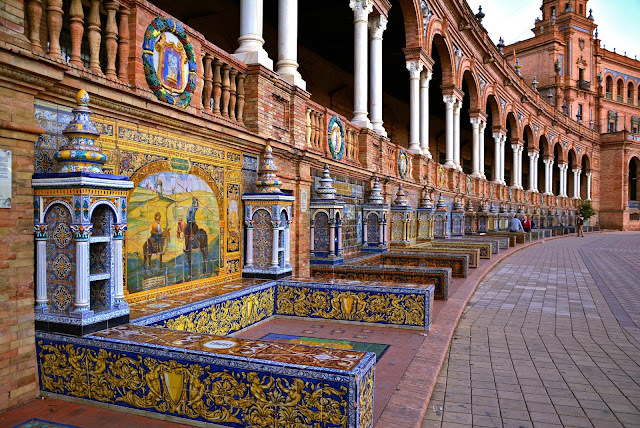 Finally after the independence of Cuba, the remains came here and rests here since 1898. The bell tower of the Seville Cathedral, the Giralda is one of the most important symbols of the city of Seville. 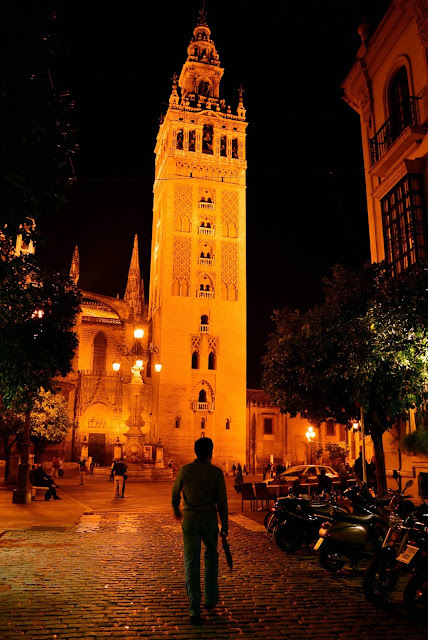 Visible from almost anywhere in the old quarter the Giralda towers above the city with a height of 105 m. It was originally the minaret of the Almohad Mosque and was later converted to the bell tower after the Christian Reconquista. 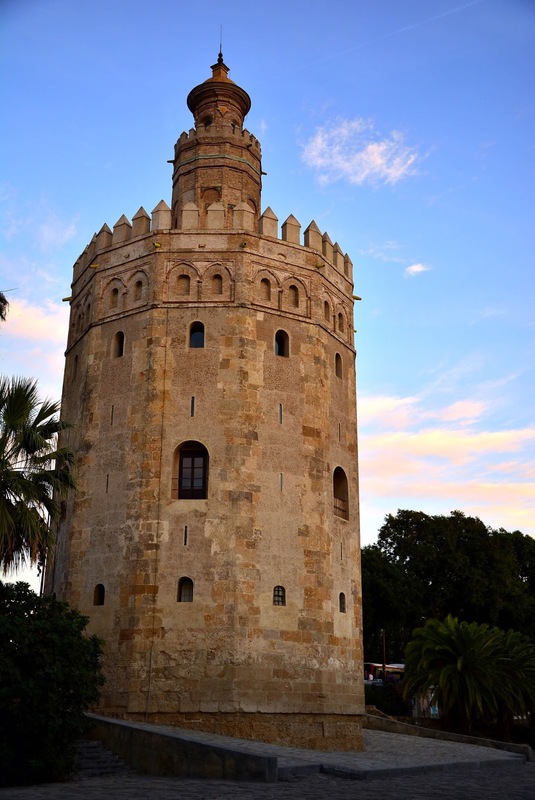 The lower two-thirds of the tower is the original Moorish minaret with its Mudéjar architecture and Spanish renaissance architecture can be seen on the top two thirds. 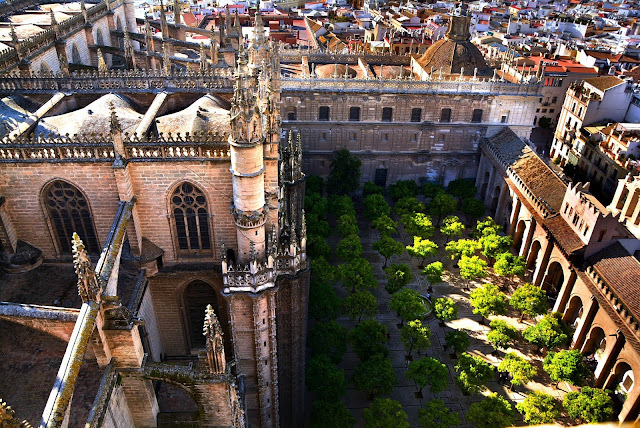 The top of the tower can be accessed through the cathedral. 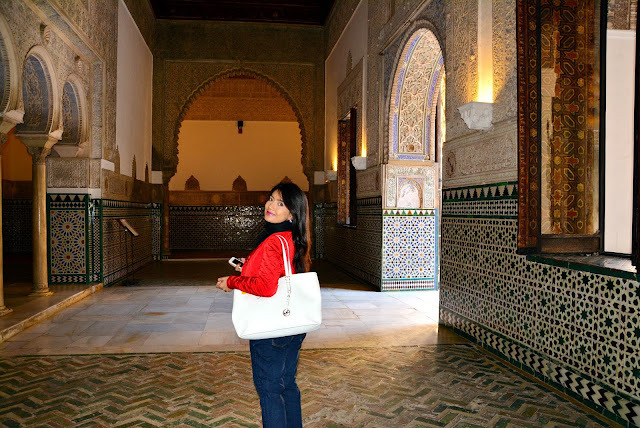 There are no steps in the Moorish part, instead 35 inclined slopes to let persons on horseback reach the top. A final flight of 17 steps built during renaissance leads to the cathedral bells. In fact the entire city of Seville can be seen from the tower which makes the effort to climb up really worth. 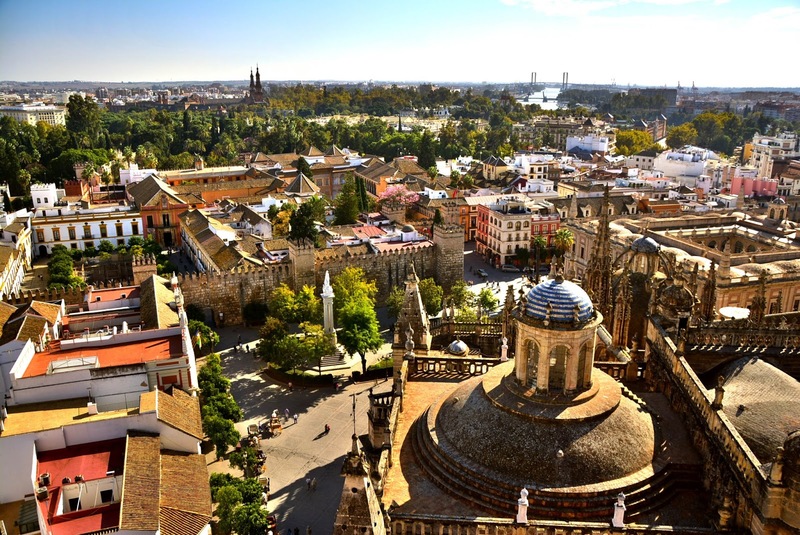 The neighborhood around the cathedral, bordered by the Alcazar is the old Jewish quarter (juderia) of the medieval Seville. 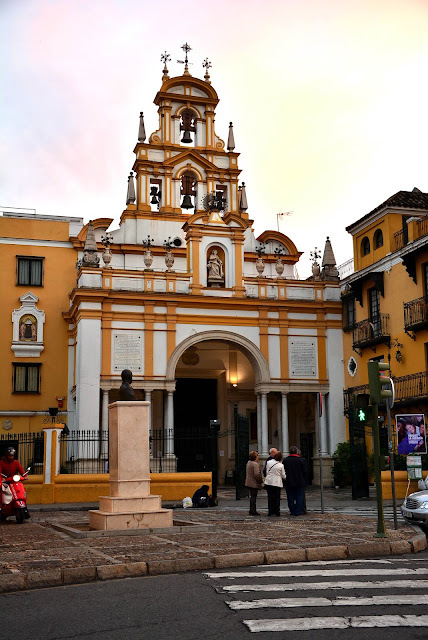 After the Christian Reconquista, the Jews of Seville were concentrated to this one locality in the 13th century. 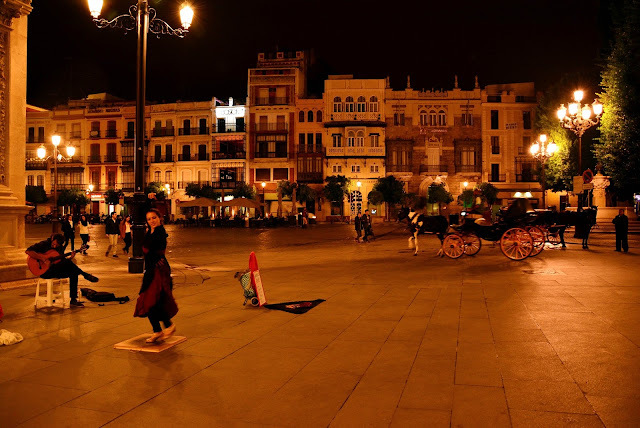 Later when the Jews were deported from Spain in 1492, the quarter saw a downfall. 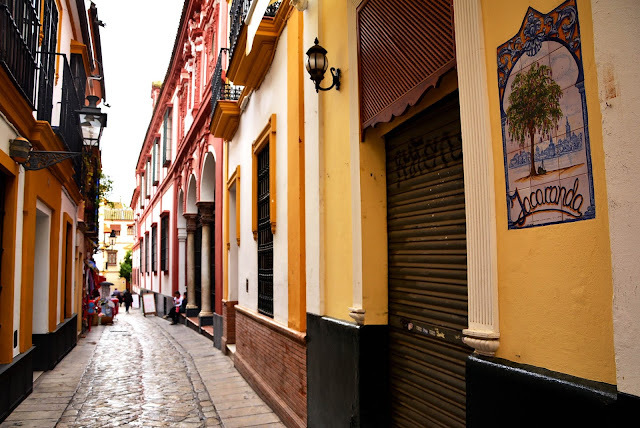 However the charm of the old juderia is still intact with its narrow alleys and colored buildings. 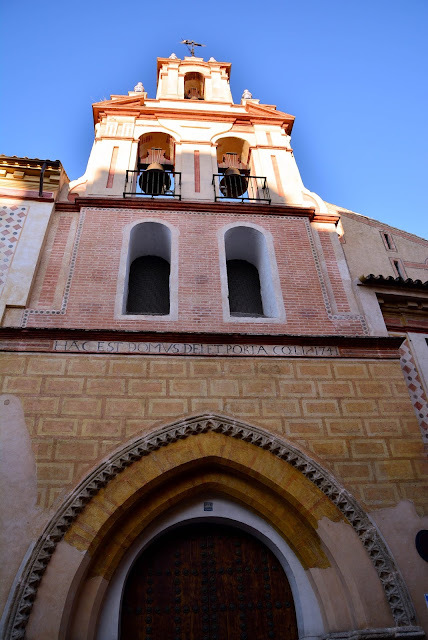 Some of the oldest and unique churches of Seville can be found in Santa Cruz including Santa María la Blanca which is a converted 14th century Mudéjar synagogue. A labyrinth of narrow covered alleys can be seen in the Barrio de Santa. 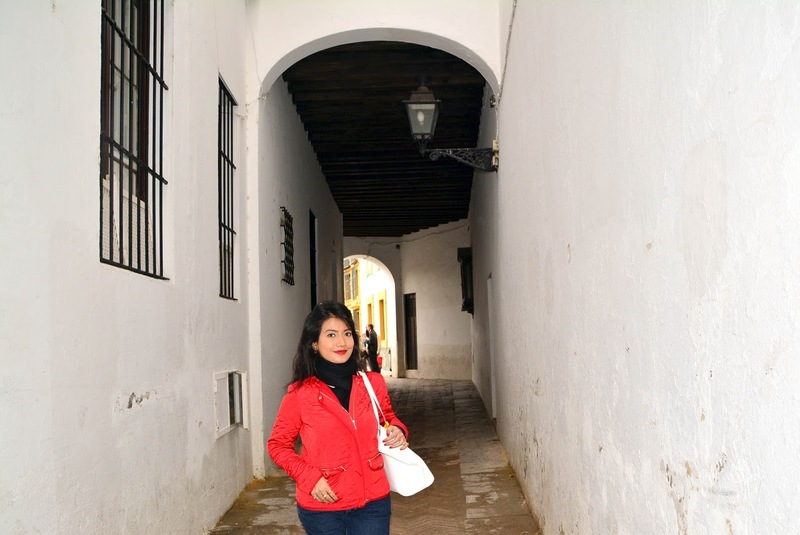 Such streets in old times and also now provide protection from the oppressive sun of the Andalusian summer. 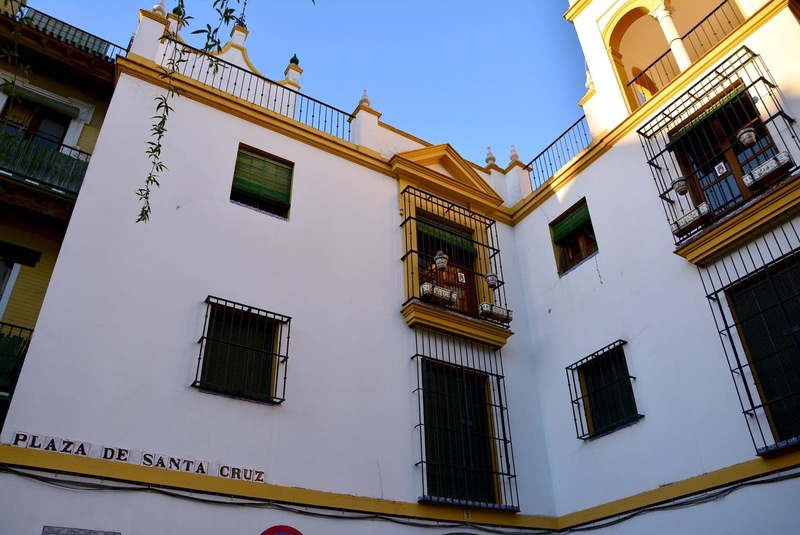 In Santa Cruz there are also numerous picturesque squares and plazas, like the Patio de Banderas which leads to the Alcazar. The merchants’ guild of Seville since the 16th century had a monopoly on the trade to the then newly discovered American continent. 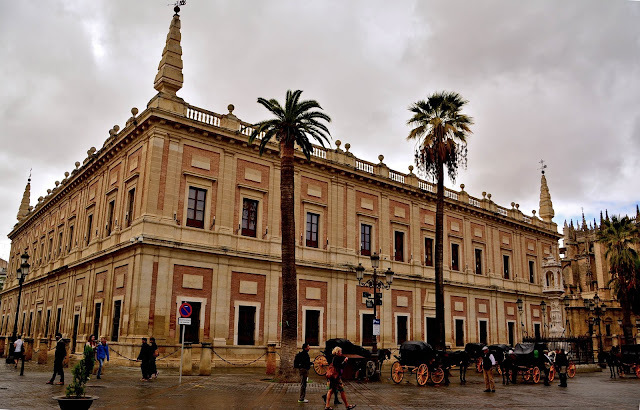 This guild was housed at the Archivo General de Indias since 1573 and the building is listed in the UNESCO World Heritage sites along with the cathedral and Alcazar since 1987. Since 1785, this building has served as the official archive of the Council of the Indies and thus it bring together under a single roof all the documentation regarding the overseas Spanish empire. 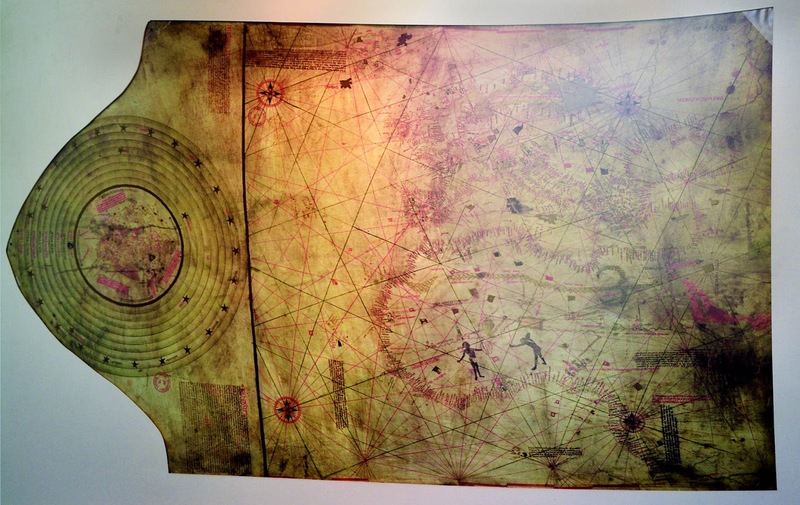 Some unique relics such as ancient maps and documentation about the Americas can be seen here including some maps belonging to Christopher Columbus himself. 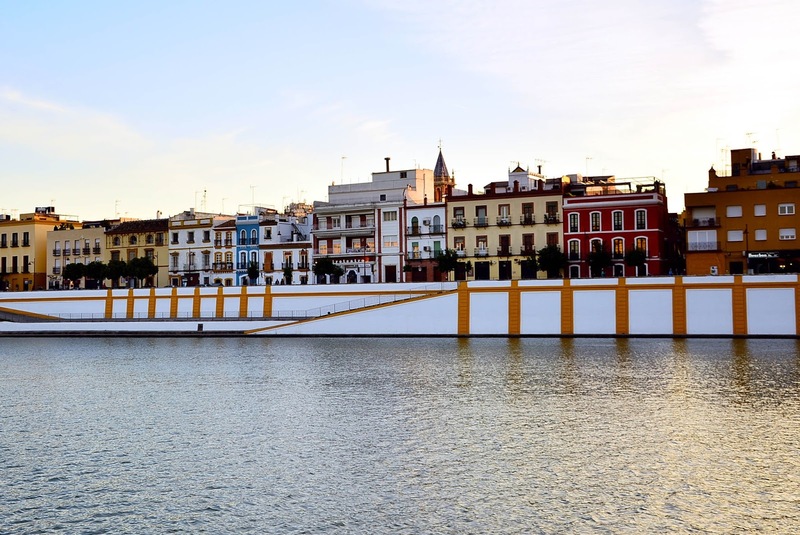 On the first floor of the archives you can see a documentary on the history of Seville, the discovery of the Americas and the voyages of Columbus who set sail from Andalusia, and three of his four voyages had involved Cadiz, 100 km downstream the river Guadalquivir from Seville. 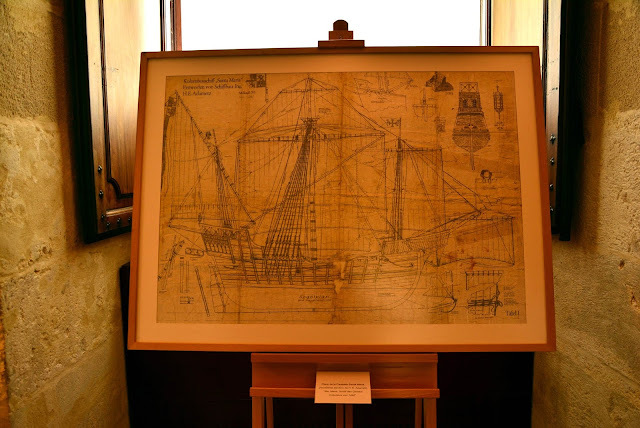 Here in the archives you can see some original plans of the ships used during those historic voyages including that of the flagship Santa Maria. 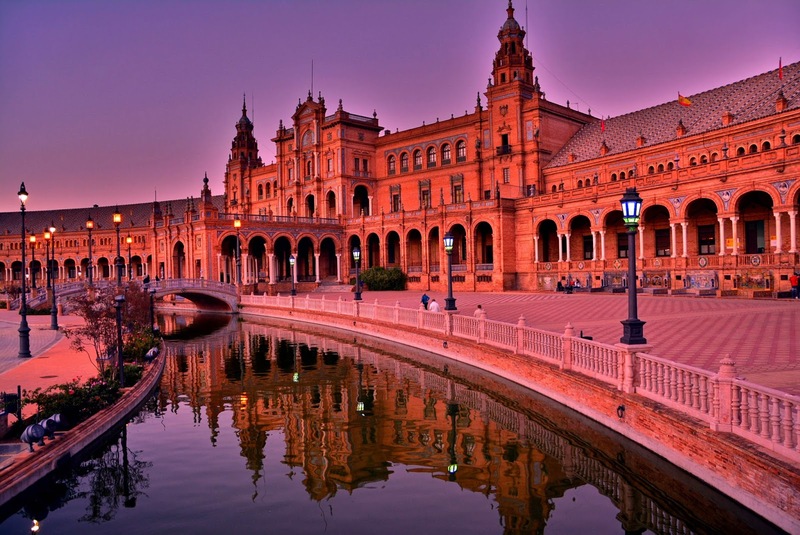 In 1929, Seville hosted the Ibero-American Exposition World's Fair, located in the Maria Luisa Park along the Guadalquivir River. On the edge of the park for the occasion, a huge semi-circular building with a moat was built to showcase Spain's industry and technology exhibits. The building is in Art Deco and Neo-Mudéjar styles and the charming bridges across the moat are perfect for a glimpse into this century old exhibit on Spain’s glorious history. There are alcoves around the building featuring colorful tiled backdrops with pictured depictions representing the provinces of Spain. The Flamenco dance and music originated in Andalusia and was made official as a musical genre since the 18th century. 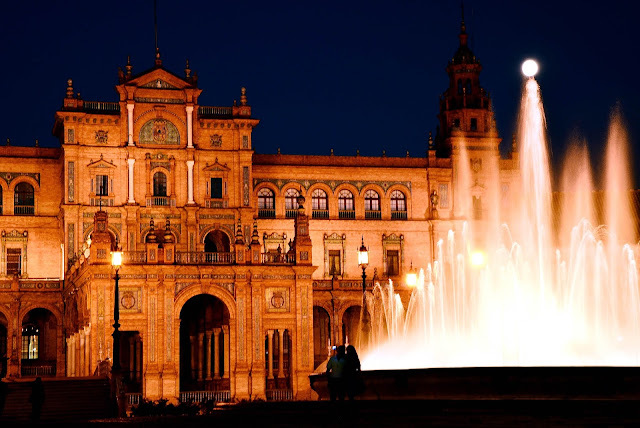 So Seville being the largest city and center of Andalusian culture it is obvious that you can enjoy the best of Flamenco here in the city. I would however advice you to look for authentic traditional performances rather than those put up for tourists. 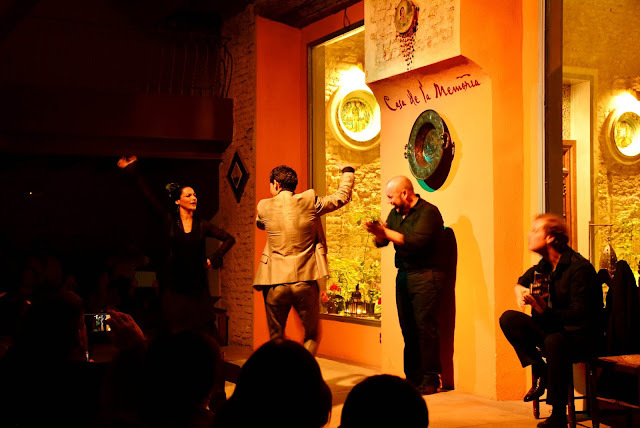 On the advice of our friends (Alan and Karen, whom we happened to meet in Seville) we went to ‘La Casa de la Memoria’ and I must say we were awestruck by the performance. You can try it out and as Alan said, it was better than Bruce Springsteen’s live concert. 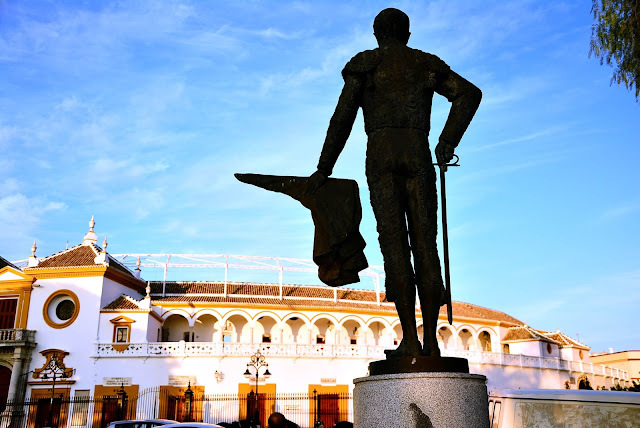 Bull fighting tradition is linked strongly with Spain where it is still legal and probably the only place where it is considered as an art form or cultural event. The bull-ring of Seville is one of the three most reputed and prestigious for the matadors in the world (the other two being the one in Madrid and in Mexico city). 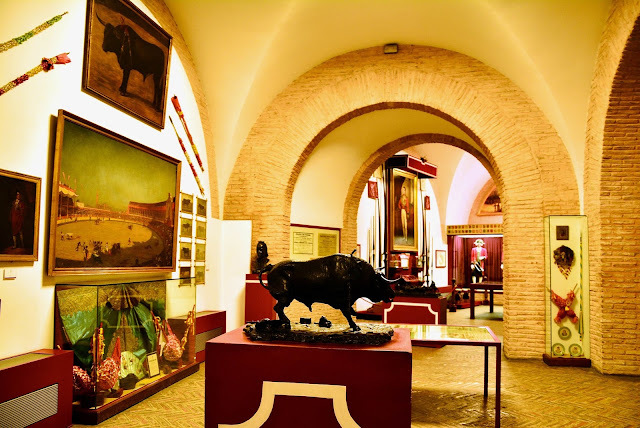 Regular visits to the bull ring and the museum are organized here. Regular bull fights are also held during the season which runs from April up to September. 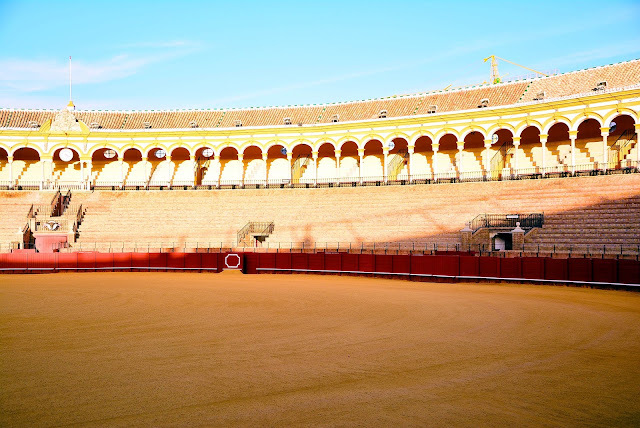 For a little trivia, the bull ring in Seville is the first circular bull ring and it was in 1749 when the Seville bull ring was being constructed that this shape was adopted to avoid corners in the arena and place the audience at equal distances from the center. 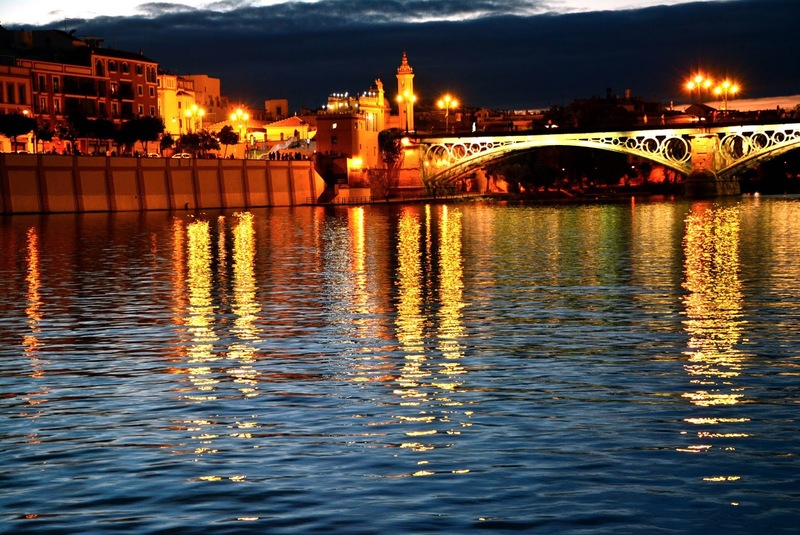 Guadalquivir is the river that passes through Seville and flows into the Gulf of Cadiz, a hundred kilometers downstream. After the discovery of the Americas, Seville became the economic center of the Spanish Empire as its port monopolized the trans-Atlantic trade. It must have been crowded and buzzing back in the 16th century but now it is a tranquil and soothing bank where you should surely take a leisurely evening walk. On the left bank is one of the emblematic structures of Seville, the Torre del Oro or the Golden Tower. It is a watch tower erected by the Almohad Caliphate in the 13th century to control Seville via the river. After being a prison in the Middle Ages and the part of a (false) legend that it was used to stock gold brought back from the Americas, it now stands silently casting its golden shadow on the river, which originally gave its name. 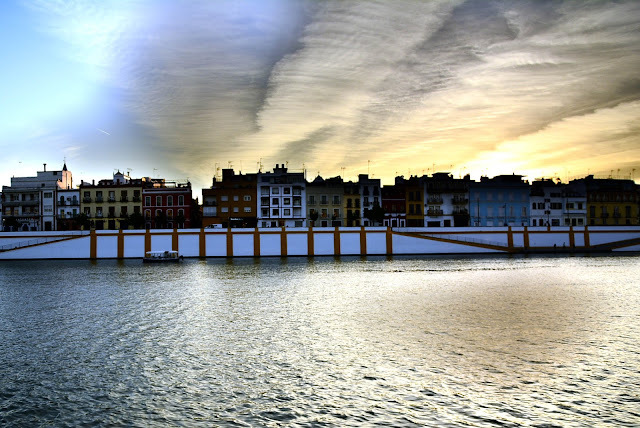 On the right back is the colorful quarter of Triana. Historically habited by potters, sailors, matadors, artisans, the Romani population, Triana holds an important place in the development of the culture of Seville. The street Calle Betis, runs along the waterfront and apart from the colored facades of the houses, it also hosts some popular restaurants, bars and nightclubs. 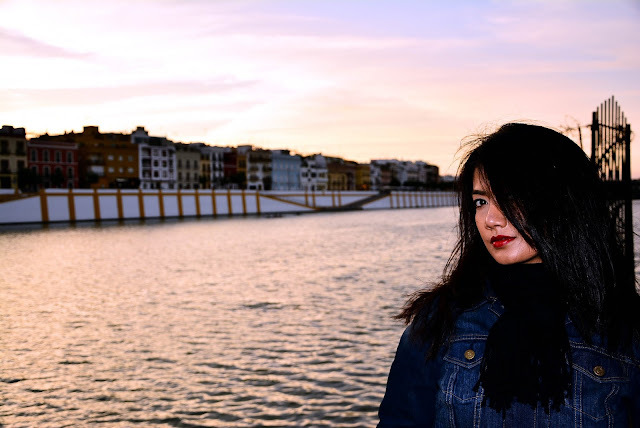 Finally the iconic bridge Isabel II, more famously known as the Puente de Triana (Triana Bridge) connects Seville to Triana. 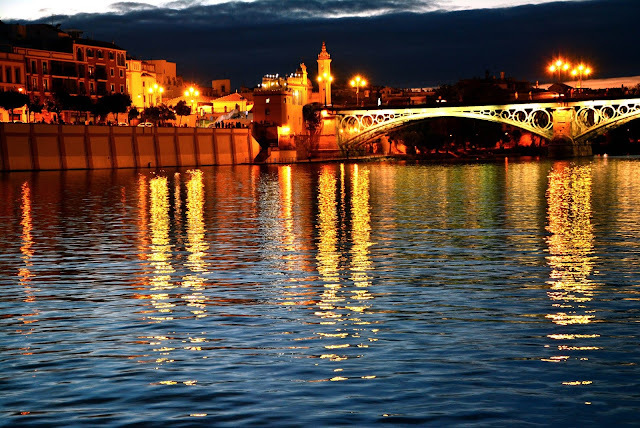 The bridge, together with the Chapel of El Carmen, located in Triana just across the bridge is one of the popular landmarks along the river. You must have heard the Spanish song “Macarena” by Los del. 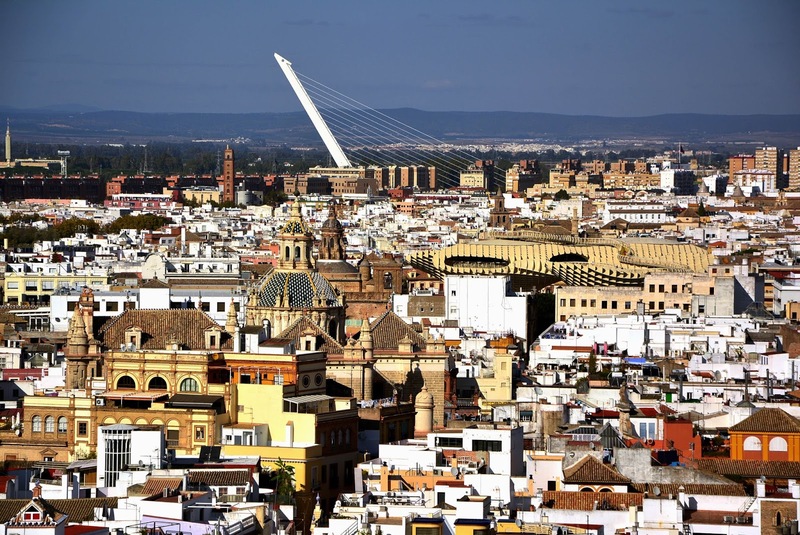 The name of the cult song finds its origin in the neighborhood of Macarena, in the northern part of Seville. However the neighborhood is more famous for other reasons. To start with, here you can find the last remains of the historic city walls built by the Almohad Caliphate way back in the 13th century. 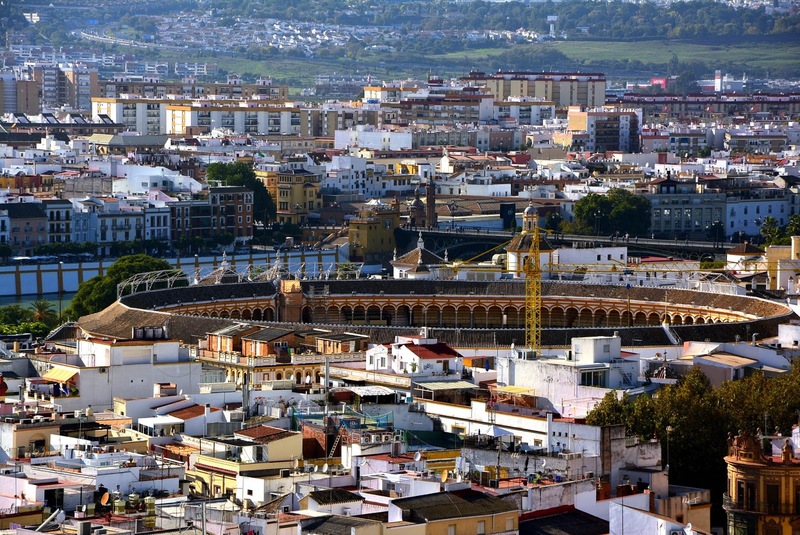 The wall spans between two massive gates, the Puerta de Cordoba (Córdoba gate) and the Puerta de la Macarena (Macarena gate). Next to the Macarena gate is the symbol of religious Seville, the Basilica of Nuestra Señora de la Esperanza Macarena (Our Lady of Hope of Macarena). 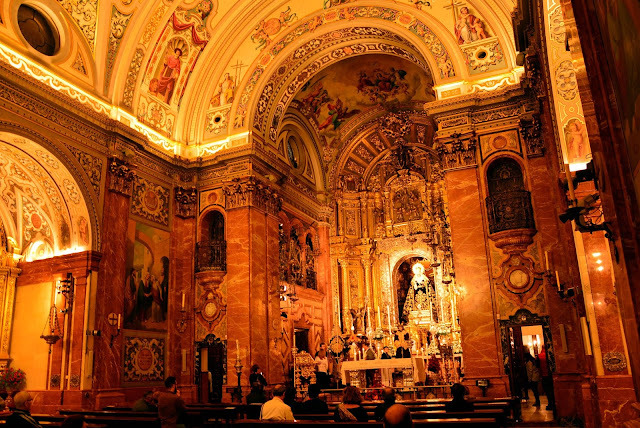 This basilica built in the 20th century in neobaroque style houses the Virgin of Macarena (La Macarena), a pious 17th century Roman Catholic wooden image of the Blessed Virgin Mary. La Macarena is considered as a national treasure by the Spanish people. It represents the sorrowful Virgin Mary made of pine wood. 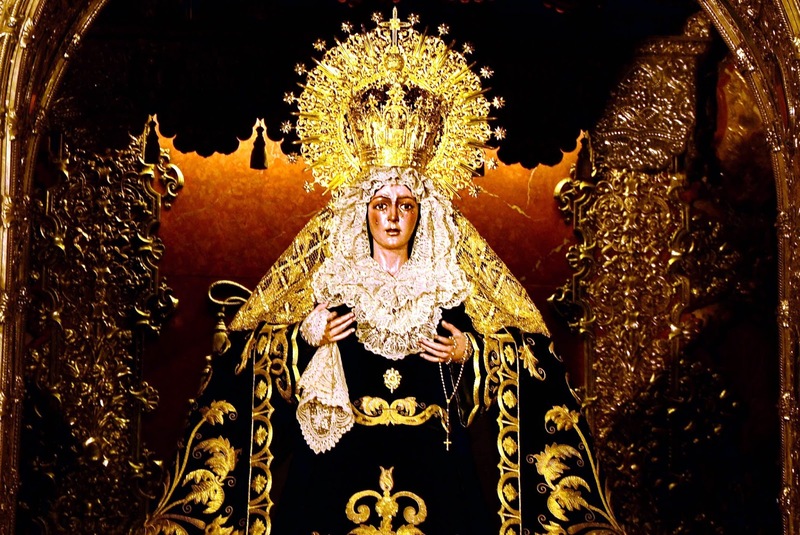 During the Holy week, the statue is paraded through Seville during one of the largest, most popular and fervent processions in the whole of Spain. 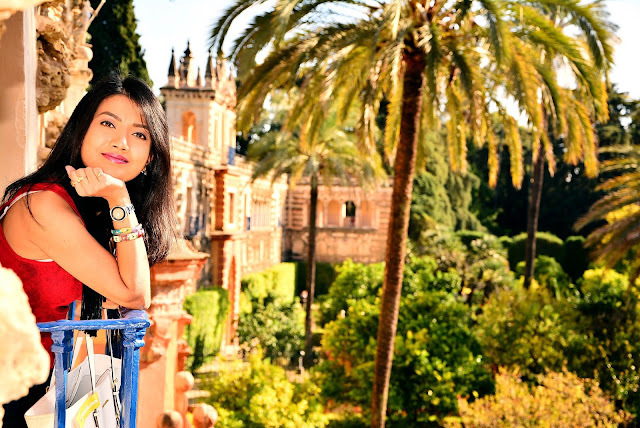 Even for non-religious persons like me, this basilica is a treat for its ornate works and the serene statue of La Macarena. 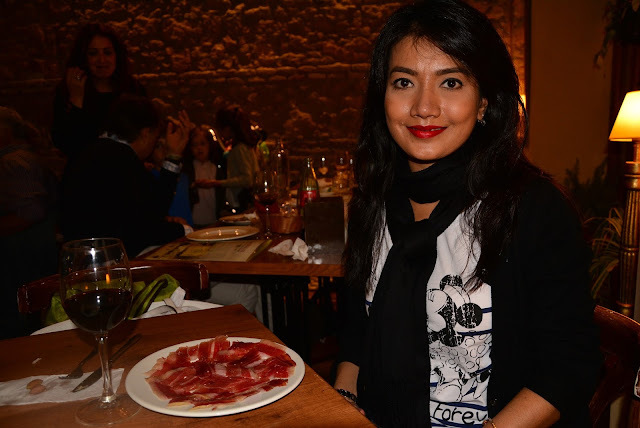 The gastronomy of Andalusia is a delight and the list is rather long when asked to note down the items that a foodie should not miss. 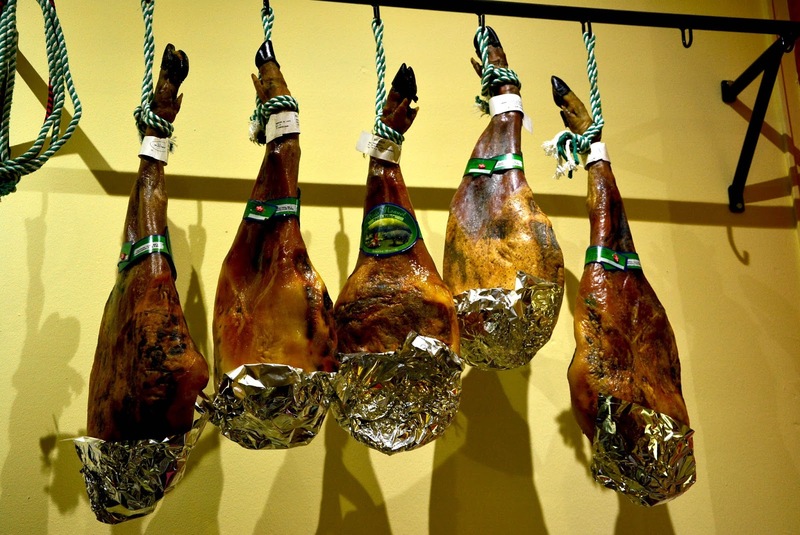 First and foremost, the Jamón ibérico (Iberian ham). It comes as thin slices in restaurants but you can also take home the entire thigh of the black Iberian pigs from which the ham is made. 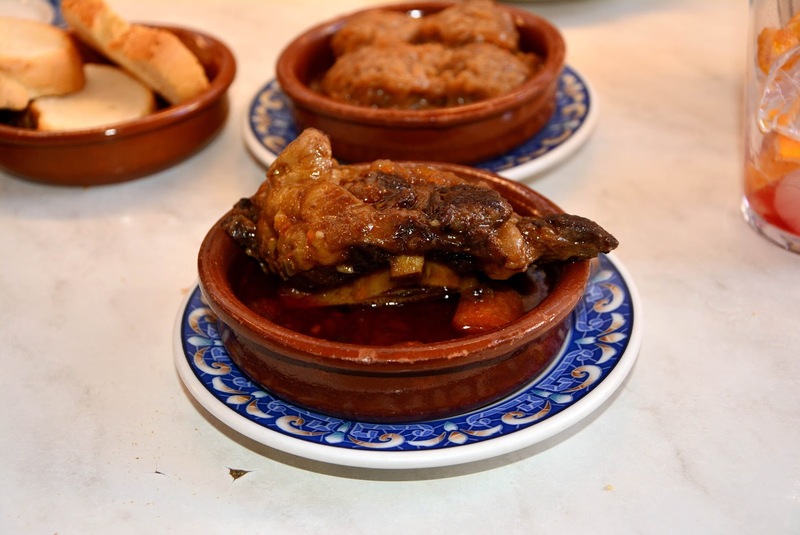 The Rabo de Toro (braised bull tail), which is slow cooked thus making the meat tender that melts in the mouth. The traditional Spanish meat balls which are often served in the form of tapas. 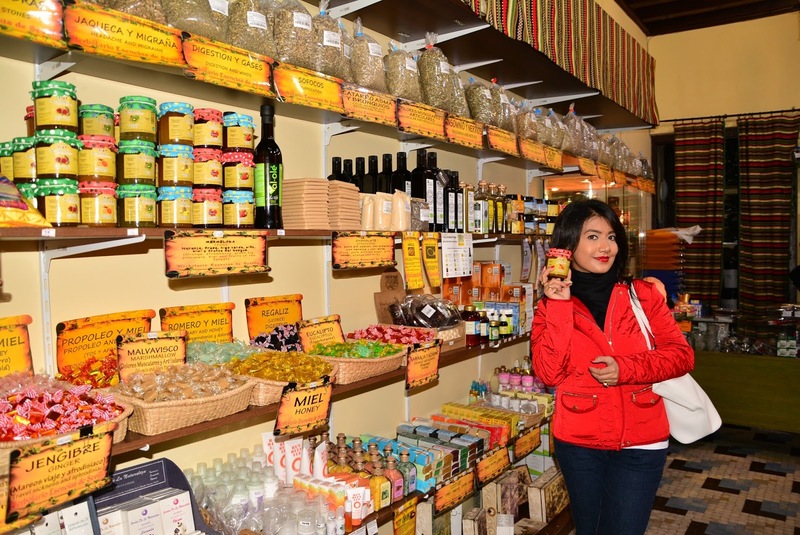 The pestinos which are pieces of dough, deep fried in olive oil and glazed with honey or sugar. 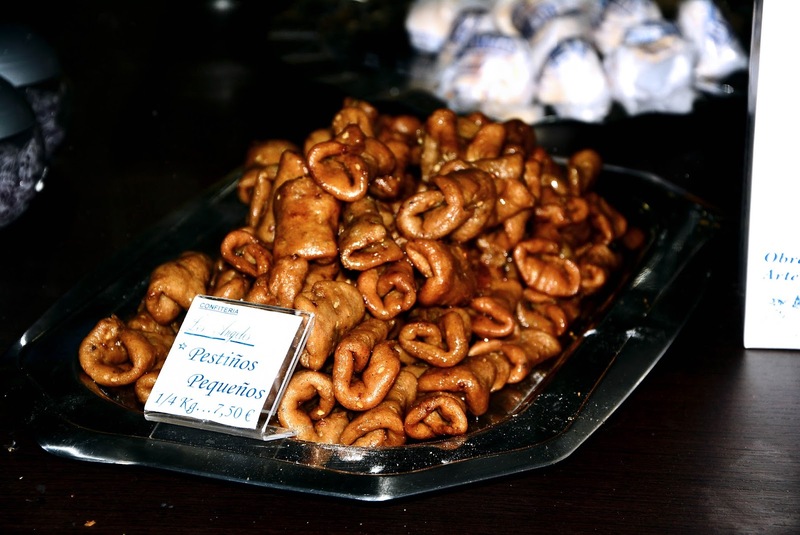 These pastries are typical of Andalusia and popular during Christmas and Easter. Finally Seville is known for its bitter oranges (in fact these oranges are called Seville oranges). 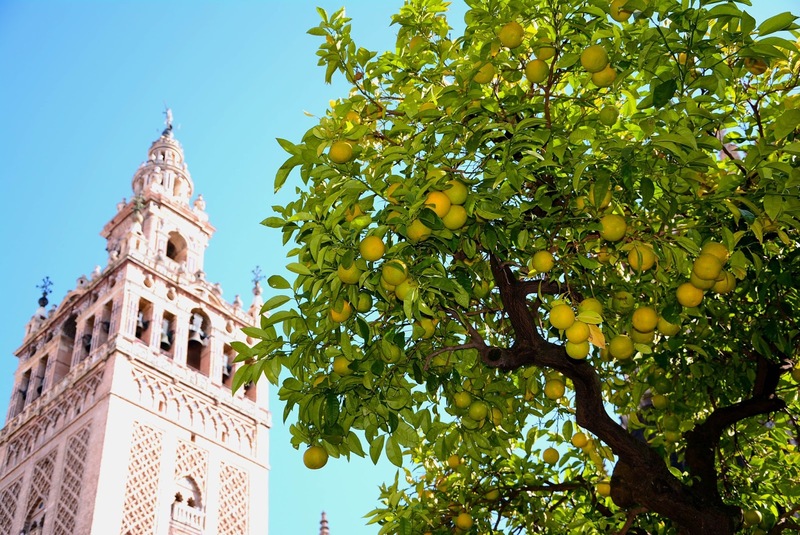 You can find orange trees laden with oranges throughout the city. 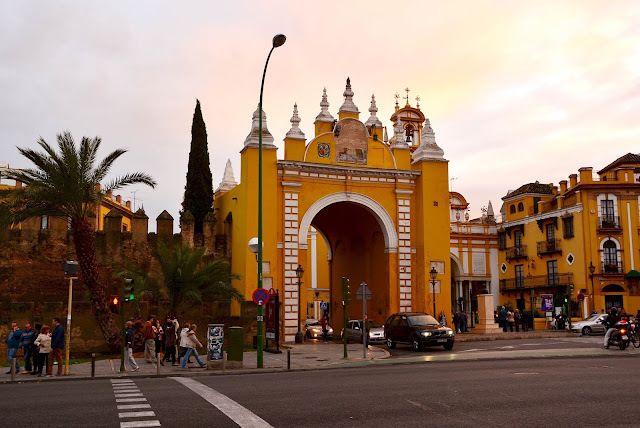 Though not consumed raw, the oranges are popular for their usage in cooking, for pickles and mulled wine but more importantly for making the traditional British marmalade which is still based on a 17th century recipe reflecting the then flourishing Atlantic trade of Spain and mainly Seville. All these places are very historical and beautiful. 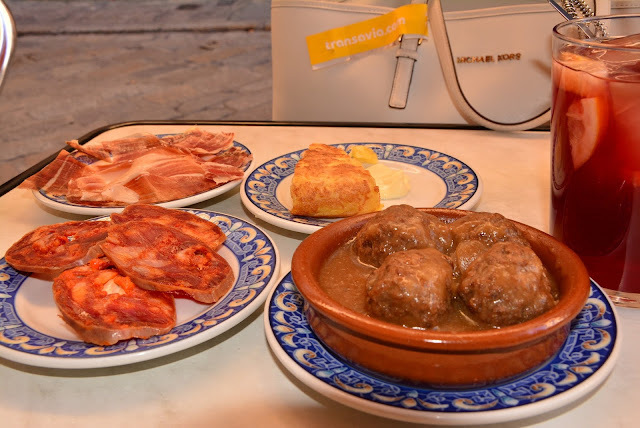 I also love the food of Andalusia. Dr Andrew Unterweger is a good guider for different places. If you need any help, you can contact with him.